Last year my rental property became infested with bed bugs as one of my tenants brought in a second had mattress that was not cleaned or checked for bed bugs. 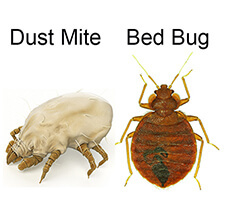 Having asked around for quotes for someone to come in to professionally exterminate the bed bugs I thought surely there was a more affordable option than paying upwards of $300 for a small 2 bedroom apartment plus possibly a second session as advised by most companies with no guarantee that they would all be exterminated. I wanted an affordable solution as I was already on a tight budget given one of the rooms was not tenanted. In addition the existing tenant had a newborn child so they were concerned about any toxins from any treatment that might harm their baby. As I searched online I was surprised to find the simple and affordable options Bed Bug Barrier gave me. It seemed almost too good to be true but given the major cost difference and Eco friendliness of their products, I gave it try. It was so simple to use in fact my tenant was happy to carry out the treatment to the rooms themselves and to both our surprise the bed bugs were effectively eradicated. Thank you Bed Bug Barrier for your amazing product and easy to follow instructions that made a major hassle an easy fix!